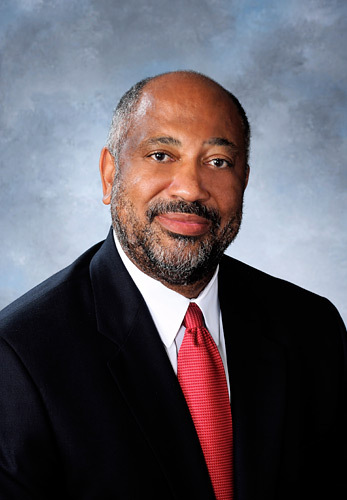 Reginald Jones became President and CEO of the Jacobs Family Foundation and Jacobs Center for Neighborhood Innovation in 2012. Prior to this, he served as President of the Chicago-based Steans Family Foundation, a philanthropy committed to revitalizing North Lawndale, a disinvested community on Chicago’s west side. Jones joined the foundation in 2003 as Executive Director and was elevated to President in 2011. As the leader of the Foundation, Reginald worked with community residents and organizations, political leaders, and private entities to foster understanding of the organization’s intent, seek input, and build collaboration for neighborhood improvement. He worked with land-use planners, housing and retail developers, human service agencies, and other entities to foster comprehensive community improvement activity. Previously, Jones worked at the Joyce Foundation managing the Culture Program, creating the Joyce Awards Initiative to support artistic works by minority artists, and sharing responsibility for a $10 million Education Grant Program. Demonstrating a diverse professional background, Jones has worked beyond philanthropy in the arts, education, and public administration sectors. Reginald has served on the board of the Council on Foundations, where he also was Chair of the Family Philanthropy Committee, the Lake County (Illinois) Community Foundation, and the Merit School of Music in Chicago. He holds a Bachelors Degree from the New England Conservatory of Music in Boston and a Masters Degree from Louisiana State University in Baton Rouge. He completed additional study in nonprofit management focused on organizational development, strategic planning, and sector financial accountability. He is a frequent presenter on topics of philanthropy, community engagement, and neighborhood development.